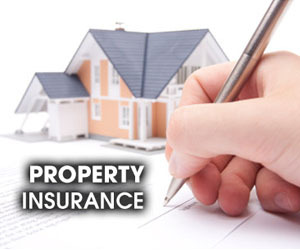 Introduction to property insurance. Protection for the location of your business. This type of policy identifies a number of different types of disasters and covers against loss from all identified causes in the policy. This type of policy insures against loss only from the identified peril. This is typically a separate fire policy. However, other single perils can be insured against, for example, terrorism. Endorsements add increased coverage or identify other business locations that are covered with unoccupied property insurance. This can include a customer’s location, for example, if your business is working at their location. Endorsements are a big benefit for your business and can be added, typically by a phone call, to a policy relatively easily if you have a good insurance professional. Exclusions take away coverage. Your insurance professional or insurer will tell you that property policies are “always” written with the “such and such” exclusion. Exclusions are the investment property insurance purchaser’s worst enemy. The most recent example is after the hurricanes in 2004-2005. Many property insurance companies claimed that the exclusion in their policies for “wind” damage excluded much of the damage from coverage. Regardless of what an insurer tells you : exclusions take away coverage. Schedules are lists of covered locations and property. These must be updated regularly and at any time a location or major covered equipment changes or is purchased. Good insurance professionals will contact you on a regular basis to discuss updating scheduled locations and equipment. If a location or piece of equipment is not a “scheduled” location or content, there is a possibility that a claim could be denied on that basis. Actual cash value means that your loss or damage is valued at the value of the property loss. Sounds fair. But, if a $100,000 car lift in your garage has been depreciated over a five year period it may be found to have an Acv of $20,000 at the time of loss. You can’t purchase a new lift for $20,000. Replacement value means that you are reimbursed the actual amount necessary to replace the equipment when it is lost. In the example above, if the new lift costs $120,000 to replace, then you get a new lift for $120,000. Replacement value coverage typically carries higher premiums.All of the above elements must be considered when reviewing and comparing property insurance for your business. A comparison made only on the premiums ignores critical aspects of the policy.